LYON, FRANCE – The Government of India is facing a daunting task to extradite Paramjeet Singh Pamma since INTERPOL has also withdrawn the arrest warrants against the Sikh nationalist who is living in UK since 1999 as refugee. Communique from ‘Commission For the Control of INTERPOL Files’ regarding Pamma’s case states that “After a careful study of all the elements in its possession, the Commission concluded that the data registered in INTERPOL’s files concerning Mr. Singh was not in compliance with INTERPOL’s rules. Consequently, the Commission recommended that INTERPOL deletes the data concerned. Following the Commission’s recommendation, these data were deleted from INTERPOL’s files. “In application of recommendations made by the Commission for the Control of INTERPOL’s Files, the General Secretariat has destroyed the information relating to Mr. Singh”, the INTERPOL’s letter issued by ‘Commission For the Control of INTERPOL Files’ from France, further states. “INTERPOL’s corrective action exposes how Indian Government provides forged information to international agencies to frame Sikh nationalists as terrorists with intent to stop them from campaigning for right to self determination”, stated attorney Gurpatwant Singh Pannun, legal advisor to human rights groups, “Sikhs For Justice” (SFJ) which coordinated Pamma’s legal defense. 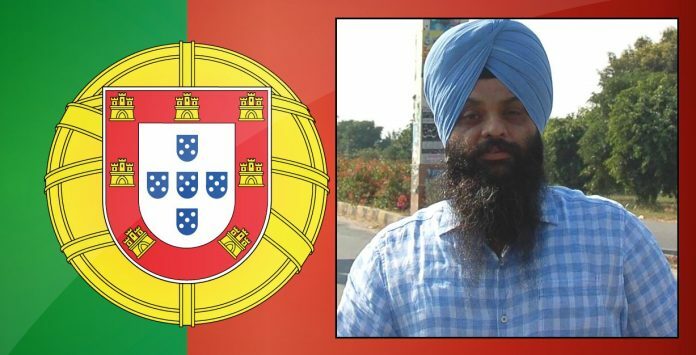 ‘SFJ will continue to work with INTERPOL to delete the names of other Sikh nationalists who are being targeted by India for their support to create separate Sikh country Khalistan’, added attorney Pannun. Triumphant at the Interpol decision Pamma stated that ‘Truth prevailed and he will continue his campaign for Sikhs right to self-determination for creation of separate Sikh state Khalistan’. Pursuant to the Interpol’s Red Notice Pamma was arrested in Portugal in Dec 2015 but Portuguese Government denied India’s request to extradite citing that the acts of violence as India claimed occurred while Pamma was living in UK as refugee. India is seeking extradition of Pamma on the charges of 2009 murder of RSS Chief “Rulda Singh” and 2010 twin bombings in Patiala.